Do You Take Advantage of Free Promotion? 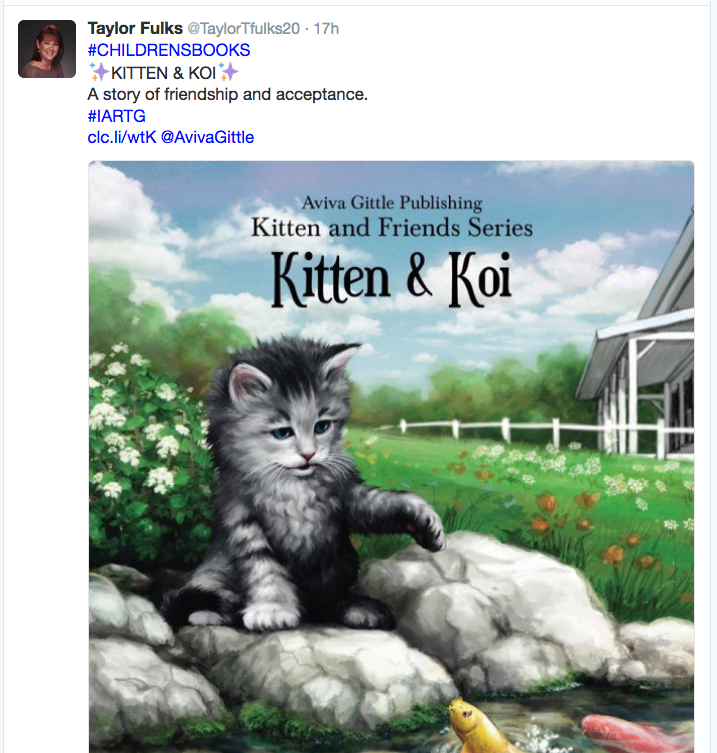 This fellow indie author regularly tweets about my book, Kitten & Koi. I like RT with a comment, then I just RT it. Not all at once. You don’t need a big budget, a lot of time, or expertise to promote your books. Here are 10 things you can do — for free. 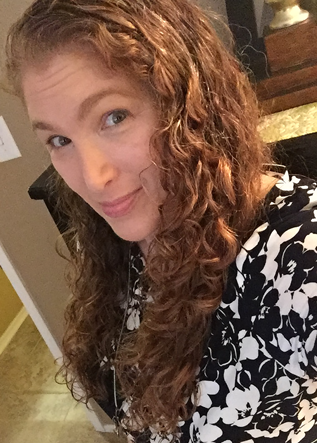 Ask your fellow indie authors if they are interested in interviewing you. Many have blogs and need content. Tweet and post about the interview. You can do this every other day for at least a few weeks on Twitter. Share and retweet the blogger’s promotions of the interview. Write a press release about your book. PRLog has a free option. Here’s an example. Promote the press release on Facebook and Twitter. Tweet about your book regularly. Use Hootsuite to schedule tweets in advance. Retweet other authors’ tweets. Most will return the favor. Post about your book (occasionally) on LinkedIn. Setup your author page on Amazon. Here 5 contest entrants and 3 past Gittle List winners get free promotion. How many shared the newsletter? The absolute easiest marketing you can do is RETWEET (not just like) and SHARE tweets and posts about your books. You retweet so all of your followers will see it. Liking a tweet is just you telling the tweeter, “Hey, nice tweet.” Same on Facebook. Sharing tells all your followers (friends and people who like your page). Adding your own comments to the share or retweet is optional, but more powerful. There are setup options in Facebook and Twitter to be notified if someone mentions you in a post or tweet. You login to your account, click on notifications, click on each notification to directly go to the post or tweet, then click the share or retweet button. Three clicks. Three free clicks. To get free promotion. 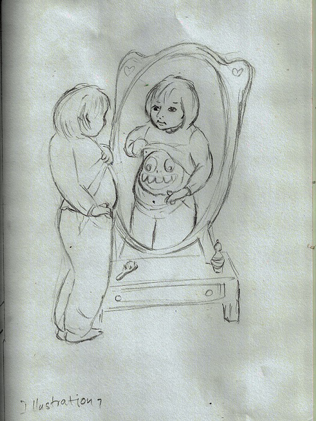 The Gittle List is an annual book competition I have hosted for the last four years. 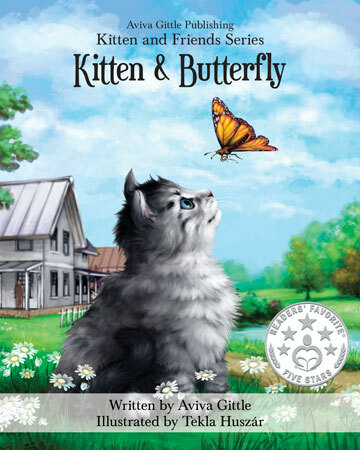 It is exclusively for self-published children’s picture book authors. A cornerstone of the contest is cross-promotion. 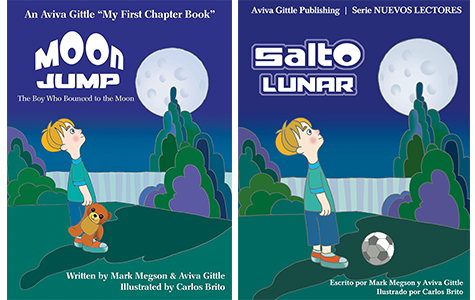 I give the winners free promotion by including them and their books in marketing for the contest. Since 2013, I have given many authors, artists, and others free promotion in the form of interviews, Facebook and LinkedIn posts, articles, press releases, and tweets. 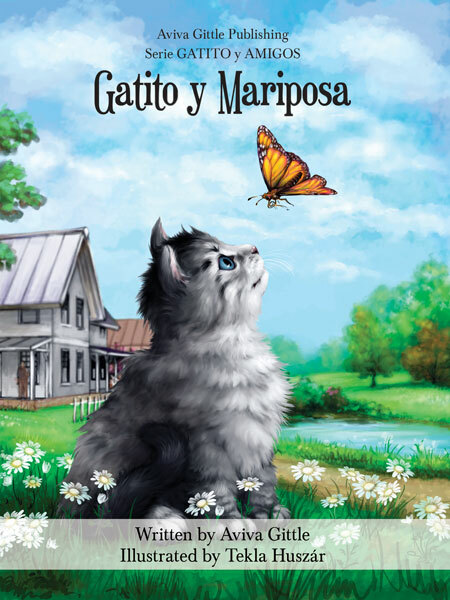 I have created an uncountable number of ads that include book covers, artwork, quotes, and publicity photos. Recently, I created a promotional video for all the 2016 winners. Many of the recipients of this free promotion do little or nothing with it. Some say they are just not savvy with marketing or social media. If you do nothing else, learn how to share posts and tweets. 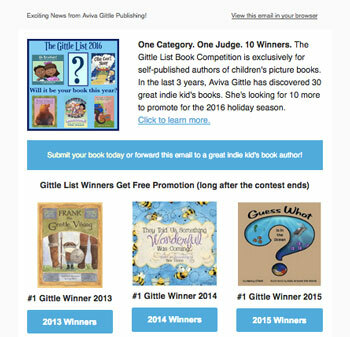 A unique feature of The Gittle List book competition is the chance for entrants to get free promotion. So, entering earlier would increase their chances. Yet, at least half of the entries come in during the last two weeks of the nearly year-long submission period. 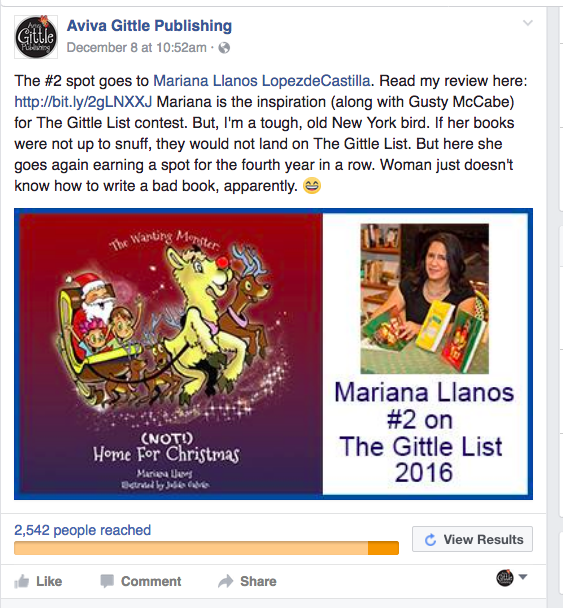 Mariana Llanos took advantage of her Gittle List winner announcement post. She got 21 more people to share the post after the Facebook ad ended. 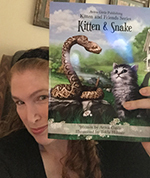 When the contest is over, I find that few of the authors share the many posts and articles that go out across several social media platforms. These same authors are frustrated at their low books sales. 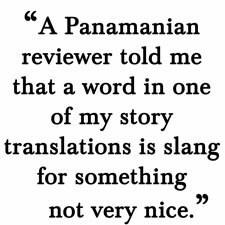 There is no easy money in publishing. But, there is some easy marketing you can do. Take advantage of the work someone else did writing about you and your book by taking 15 seconds to share it. It’s so easy, even indie authors like us can do it. Have a topic you’d like me to write about? Email me at GoToGittle@gmail.com or leave a comment here. 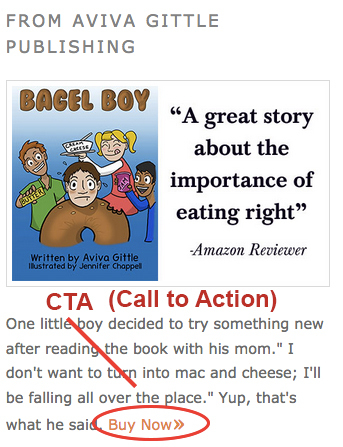 An ‘About’ page allows readers to get to know you. We like to buy from people we like. How do you market your books? It is a question that indie authors ask all the time. There are so many different ways to promote your work — and tons of books and articles on the topic — that authors get overwhelmed. “Just tell us what works for you,” they seem to be saying. Rosie Russell, a fellow indie publisher and author of Beasley’s Journey, asked if I had used any of the marketing techniques mentioned in the article A List of Different Types of Marketing Strategies posted on ListTypes.com. Every author needs a website. It doesn’t have to be fancy, but it does need to have a way to buy your books. This could be as simple as having a button that says “Buy” or “Shop” below a picture of the book’s cover and links to its detail page on an online store, like Amazon. There are two ways to get a website: Hire someone to do it or build it yourself. From there, you can continue to pay someone to update the site as needed or you can have that person train you on the basics. After getting bids from freelancers on what is now Upwork.com, I ended up finding someone local through Yelp. He charged $450 to build my website with WordPress using a theme I purchased online. (A theme is a framework that provides the web developer with a template for your website.) I knew that this price was reasonable after getting quotes generally between $1,200 and $5,000. Be sure to have an SOW (Statement of Work) that spells out what the web developer is going to do for you, at what cost. It should specify how many revisions the developer is willing to do. 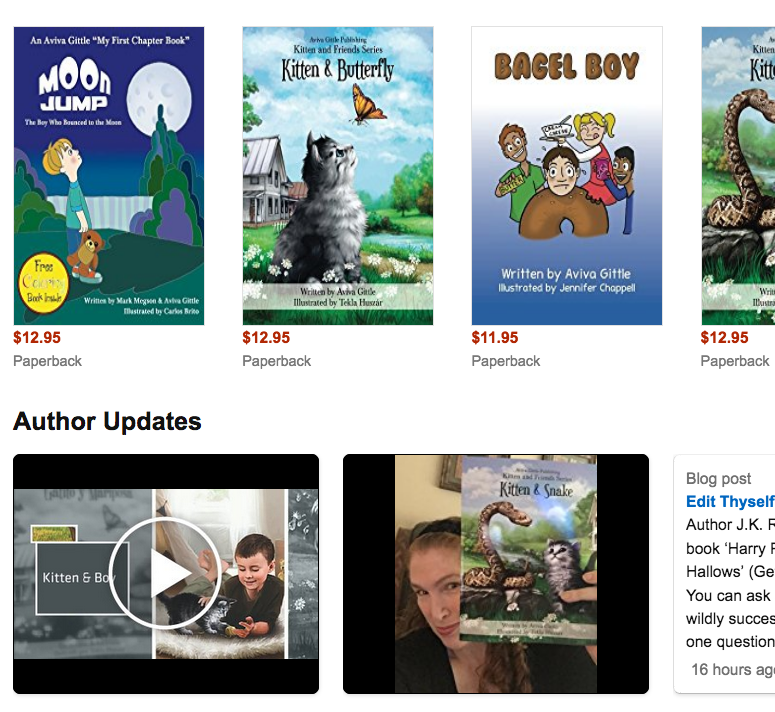 My Amazon Author Page lists my books, but it can also include videos, my blog and Twitter feeds, and more. What is a hosting site, you ask? This is where your website files will reside. You can host your own website by buying and maintaining your own server. If you can do that, you can probably build your own website. I recommend WebHostingHub.com, but there are many others. You save a lot of money by paying for 1-3 years up front. Front page that shows your books with a button below each one that links to the place readers can buy your books (like Amazon.com). An About page with your bio and a way to contact you. Links to your social media, like your Facebook page and Twitter account. Get started with this. You can always add things later, like a signup form for a newsletter. Last thing: You should take advantage of the free author page on Amazon.com. Here’s mine. 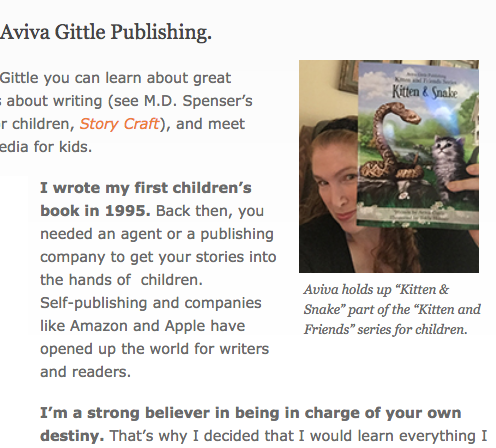 Sign up for Gittle News and follow me on Twitter or Facebook to be the first to hear about new articles on everything related to self-publishing. Have a topic you want me to write about? Email me at GoToGittle@gmail.com. Other Aviva’s Advice articles: Edit Thyself? Is Your Book Global?